For those who may be interested: Dr. Hermann Detering, one of the great scholars of the New Testament, died on October 18, 2018. I only learned of it today. His work is only readable in German and English. Let me say that I’ve had several exchanges of ideas with him—one of the very few who, like me, proposes the Buddhist origin of Christianity. For those who read English, there is a long commentary written by René Salm on his page. Here is the link to Dr. Detering’s works. Dr. Detering was 65 years old at the time of his death. He and I were long-distance friends who, unfortunately, never had the pleasure of meeting. I initiated contact with Hermann in 2015, sensing a colleague sympathetic to Jesus mythicism and also to my Nazareth work. He soon contributed one of the two cover blurbs for my second book, NazarethGate, and thenceforth he and I collaborated on a number of projects—beginning with my translation and posting on this site of his take-down of an American scholar, and culminating in my lengthy commentary on his final book (also on this site), whose title can be rendered in English as Buddha, Joshua, Jesus, and the Way to the Other Shore: The Gnostic Interpretation of the Exodus and the Beginning of the Joshua-Jesus Cult (German link here). Hermann had been battling a particularly virulent form of cancer for well over a year, information that he kept fairly private. He kept me somewhat informed on the vicissitudes of his illness—new experimental treatments, chemotherapy, radiation… When I inadvertently mentioned the cancer in one of my posts regarding his current work, Hermann promptly asked me to delete the information from public view, which I naturally did. Dr. Detering was a very private man, and perhaps that partially explains the fact that the mythicist community is learning about his passing only several months after the fact. This is not the place for an assessment of Dr. Detering’s scholarly work—something I, in any case, am ill-equipped to carry out. I would like to remark, however, that from an early age he exhibited a notable combination of assets—above all, astonishing independence, courage, and erudition. Detering studied under Dr. Walter Schmithals—perhaps the foremost Pauline scholar of his generation. In my opinion, that mantle passed to Hermann himself, who became known first and foremost as a Pauline scholar, but one with quite revolutionary views on the Apostle. Based principally on his examination of the Pseudo-Clementine literature, Hermann concluded that Paul never existed but was a cipher for Simon Magus. From his doctoral dissertation and other early work, Hermann had already satisfied himself that all the Pauline epistles are pseudepigraphical. Of course, the theological guild categorically rejected these radical views. Despite his most distinguished education and training, Hermann never secured a teaching position. His views were simply too radioactive. But the die had early been cast with his doctoral dissertation: a study (indubitably the best to date) of the Dutch Radical School of New Testament criticism (later published in Germany). This side of the Atlantic, Hermann is perhaps best known for his book The Fabricated Paul, translated into English by D. Doughty. 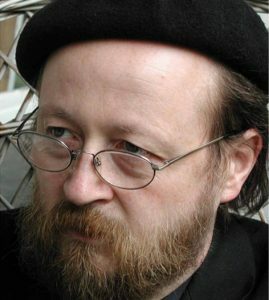 Less known, however, are equally radical theses that also produced books: O Du Lieber Augustin argues that Augustine’s Confessions is a medieval forgery; while Detering’s 2011 book Falsche Zeugen systematically shows that the earliest ‘witnesses’ to Jesus’ existence (Josephus, Tacitus, etc) are in all cases bogus (forgeries and late interpolations), leading to the inevitable proposition that Jesus of Nazareth was an invention of the Church. In the final years of his life, both Hermann and myself kept a close eye on each other’s work, and a sort of cross-pollination took place. I devote the lengthy final chapter of NazarethGate to my theories regarding Yeshu ha-Notsri, the Jewish rebel prophet who was crucified by the Sanhedrin in the 70s BCE. In my view, Yeshu lies at the root of Christianity, not Jesus of Nazareth (whose inflated story in the 4G borrows extensively from Yeshu’s astonishing ministry). Yeshu spent many years in exile in Alexandria where, I believe, he came under the influence of Buddhism, renounced Orthodox Judaism, and himself became a ‘gnostic’ Buddhist, one who embraces liberation through enlightenment. Hermann’s scholarly work was also inching closer and closer to Buddhism, particularly through his intensive study of the early Christian gnostic Basilides (on this, see Michael Lockwood’s translations of Hermann’s work, here and here), work that I heartily applauded. Both Hermann and myself were exposing overlooked historical and spiritual links between India and the West (discussion here). While my own work focused on Yeshu ha-Notsri and Alexandria, Hermann’s focused on Basilides and Alexandria. My work regarding Indic spirituality has been oriented to the older Theravada Buddhist tradition that began with Emperor Ashoka’s missionaries ca. 250 BCE, some sent by sea to Alexandria and Egypt. Hermann’s work, on the other hand, revealed vibrant spiritual links between early Christianity and emerging Mahayana Buddhism, which reached the West around the turn of the era both via sea as well as overland via Bactria, Persia, and Syria. It can be noted that the Mahayana brought with it the strong sense of an enlightened, compassionate, and self-sacrificing figure: the Bodhisattva. Could this have influenced the figure of ‘Jesus’? Both Hermann’s and my work also converged upon the Therapeutae of Alexandria, a first-century sect of meditators and recluses whom some have viewed as crypto-Buddhists and others (including some Church Fathers) as early Christians. Detering discusses parallels between Buddhism and the Therapeutae, as described by Philo of Alexandria (see here). According to my theories, the Therapeutae were gnostic followers of Yeshu, those who continued at the site of Yeshu’s own ‘conversion’ to Buddhism and who merged Judaism and Buddhism—to produce Christianity. Thus, Detering’s and my work, as well as that of a few others (including work of M. Lockwood, mentioned above), have latterly been pointing to the essentially Buddhist origins of Christianity. Hermann’s writings on Basilides were uploaded to the Internet a scant month before his death, capping the great evolutionary arc through which this scholar’s thought developed over four decades—from questioning the authenticity of the Pauline epistles, to questioning the reality of ‘Paul,’ to questioning the reality of ‘Jesus,’ to finally proposing the Buddhist-gnostic roots of Christianity. Very sad news. Dr. Detering possessed a brilliant mind and a knowledge of material & sources that was breathtaking in both breadth & depth. The clarity & insightfulness of his writing was always a joy to read. His quiet demeanor and dedication to the highest standards of scholarly pursuit stood in welcome contrast to the many grandstanders and provocateurs in the field. Though greatly under-appreciated in his time, I believe the full impact of Dr. Detering’s groundbreaking work is yet to be felt. I heard of Dr. Detering’s death just some minutes ago, and I am speechless. The first time I got mail from him was in 2002. From time to time I wrote him about some (weird) idea or had a question, and he always answered. Thanks for the words! I spent a week with Hermann Detering in hospital in the same room, a decade ago or so. We had both undergone more or less the same treatment, and while we were, naturally, weak, and of course also occupied with our diseases, we had excellent conversations on God and the World, as we say in German. I felt honoured to have had the opportunity of speaking with him – it was an important experience. We had a loose, very loose, contact via facebook. That he passed on is such a sad news. He was a wonderful person. Very sad indeed. I belong to the Bruno Bauer/Arthur Drews/Albert Schweitzer/Paul-Louis Couchoud/George A. Wells tradition of the non-historicity of Jesus, and always admired the Danish radical school for its courage to brilliantly pursue the theory of the non-historicity of Paul, continued by Hermann Detering. Now that he is gone, who’s going to maintain his site and his postings? When it is your turn to quit, how are all the postings on your site going to remain available online? I worry more particularly over the digitized text of Couchoud’s “Creation of Christ”, which I originated as my pet project, and that was fortunately finalized by Frank Zindler’s daughter Catherine and sent to you for posting on your site. How is it going to remain online for easy access by future generations of students? … [SNIP]…All the texts now produced by Jesus’s historicity deniers in our times may eventually disappear from their online presence along with the sites that maintain them, exactly as the manuscripts of the early critics of the Christian myth. Such sad news. When Hermann had published his unfinished but, as usual, absolutely crucial book “Die Gegner des Paulus – Judaistenthese 2. Jahrhundert” on his website July 4, 2018, I realized he was leaving his workshop. But I did not realize he prepared to leave his life, too. I miss him.